It’s official, folks: Windows 10 will be a free upgrade for existing Windows users—as long as you claim it quickly. Kicking off the consumer-focused Windows 10 event in Redmond on Tuesday, January 21, Microsoft operating system chief Terry Myerson announced that current users of Windows 7, Windows 8.1, and Windows Phone 8.1 will be able to upgrade to the new operating system for free as long as they do so within one year of Windows 10's launch—even if your version of Windows is pirated. Once you’ve claimed the upgrade, it's permanent, and Microsoft will keep you updated for the supported lifetime of the device. Did you catch that? Windows RT tablets won't be upgraded to Windows 10—though they'll get some of the new features—and business users will have to pay to upgrade and receive continued support. 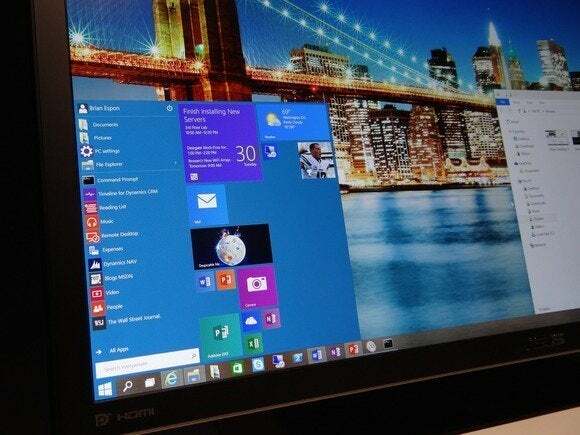 The decision to make Windows 10 a free upgrade for existing users makes sense. Windows 8 users have vocally expressed their displeasure with the operating system, prompting happy Windows 7 users to stay put on that OS. That hinders Microsoft's ability to execute its vision for a service-centric, cloud-connected future for Windows; making Windows 10 free could spur more users into embracing a modern Microsoft operating system. And hey, it'd be weird to charge for Windows 10 after Windows 8 flopped so hard and Apple started giving away OS upgrades. Right? Here's how to give the Windows 10 Technical Preview a test drive today, if you're the adventurous sort. Once you're in, you'll want to check out these killer new features first, and once you're feeling comfortable, dive deep into the myriad tips, tricks, and tweaksburied under the hood.